Here are two very extremely awesome Hot Wheels! They are the '69 Pro Street Camaro (in green) & '71 Chevy Chevelle (in red). 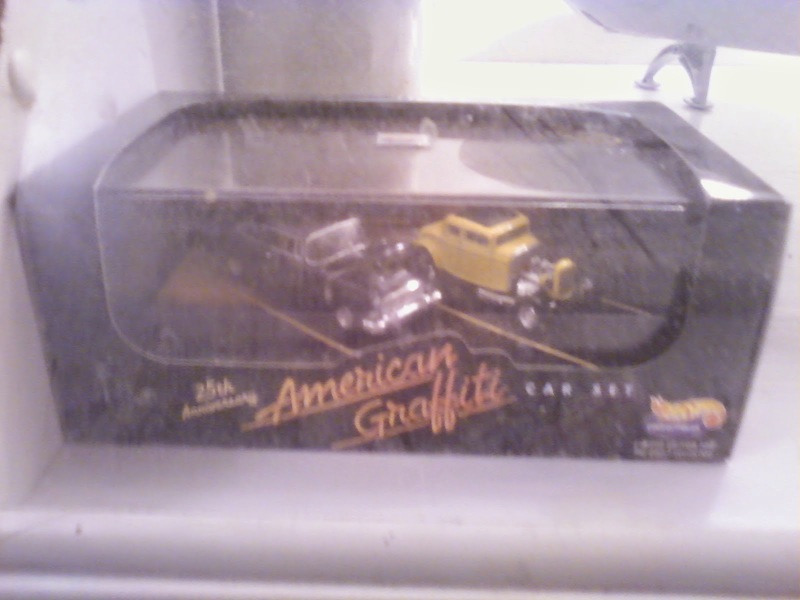 I got both of these as a gift today from my father's friend who also collects various cars, I am very glad and appreciative to obtain these! I probably don't need to explain much because it's all there in the pictures but they are back from 2008 for Hot Wheels 40th anniversary. 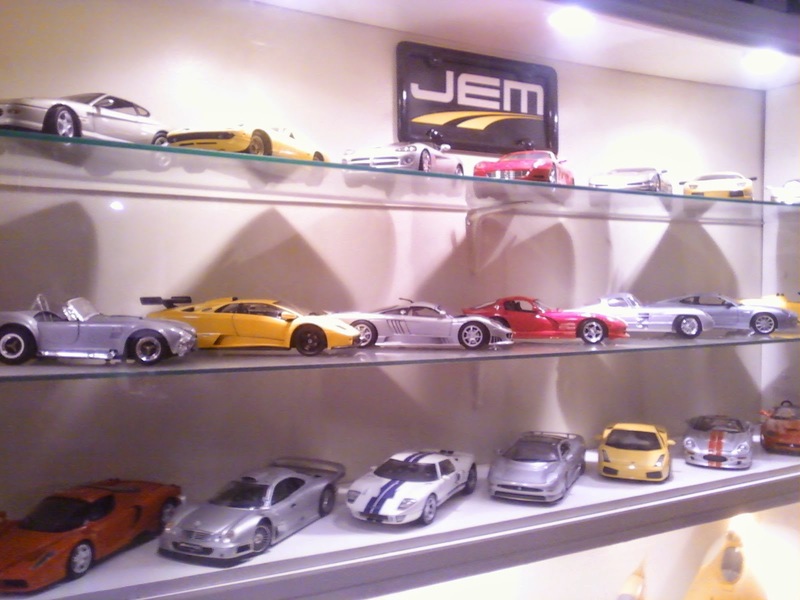 Each car is metal/metal, has real riders, extreme detailing (see pictures), opening hoods, and special display cases. They are super sweet, check them out! And I know a lot of collectors frown upon opening these highly collectible pieces but I just can't enjoy them otherwise, there is just so much more to see and enjoy in hand! 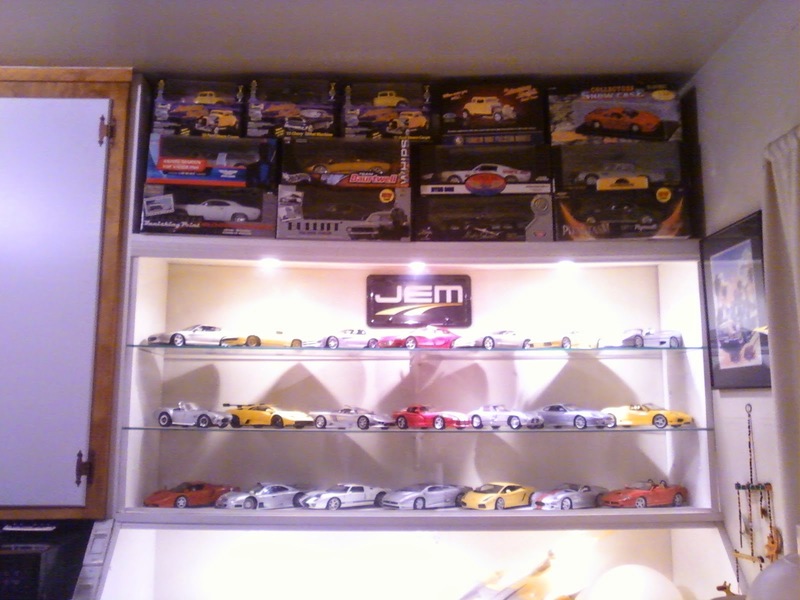 Part of my dad's friend's die-cast car collection.